price of a barrel of oil hovering around $70 and the U.S. on its way to overtake Saudi Arabia and Russia as the world's top oil producer. But Chad Hathaway, president of Hathaway Oil, told me that California continues to slip in terms of overall production because of a hostile state government in Sacramento and burdensome regulations. States that are now producing more oil than California, or headed that way, include Texas, North Dakota, Oklahoma, Louisiana, New Mexico and Colorado. 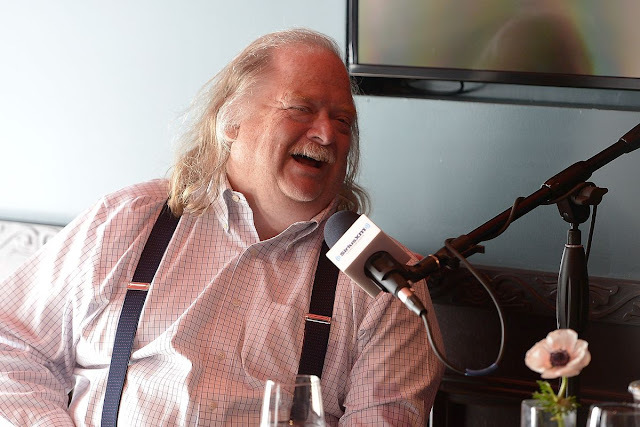 * ... RIP JONATHAN GOLD: Bakersfield lost a true friend this week with the death of Jonathan Gold, the award winning Los Angeles Times food critic who was one of Bakersfield's biggest fans. Gold visited here frequently, bringing the likes of Dewar's, Luigi's, Pyrenees Bakery and Woolgrower's to his wide audience. He loved our food, our quirkiness and our people. Consider the opening of a piece Gold wrote in the LA Weekly: "I have been accused of overpraising Bakersfield, and perhaps it is true. Dewar's, across the street from Bakersfield High School, is still the best old soda fountain in the state, and even if it didn't make the world's best nut chews — little Tootsie Rolls of taffy stuffed with crunchy, salty almonds — I would still go there for the thrill of seeing the counterwomen tamping the ice cream into sundae goblets in a way that makes the marshmallow crème spurt out the sides. Luigi's may not be the oldest surviving Italian restaurant in the western United States, but it feels as if it is, and the platters of pasta and beans, the Saturday-only burgers on toast and the homemade spumoni are straight out of 1906. The Arizona Café features a style of California-Mexican cooking that feels a century old... Bakersfield, a scant two hours away, offers the not-inconsiderable pleasure of being in a place that is neither Los Angeles nor part of greater Los Angeles, a town that is thoroughly Californian but can also feel a lot like the good parts of Oklahoma. 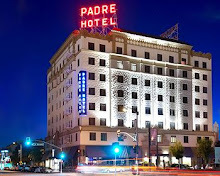 It's the home of the Bakersfield Sound, the Merle Haggard/Buck Owen/Rose Maddox thing that brought a bit of grit back to country music, and without it the radio now would probably sound even more like Taylor Swift. But mostly, at least for me, there is the old-fashioned cooking at one of the city's Basque dining halls, huge, multicourse feasts originally intended for the Basque shepherds staying at the local boardinghouses. 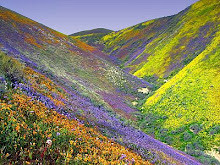 They have become so popular that the few sheep men who show up are treated like local celebrities." * ... SPOTTED ON TWITTER: "In the event of a tornado, put some weiners in your pocket. That way the search dogs will find you first." 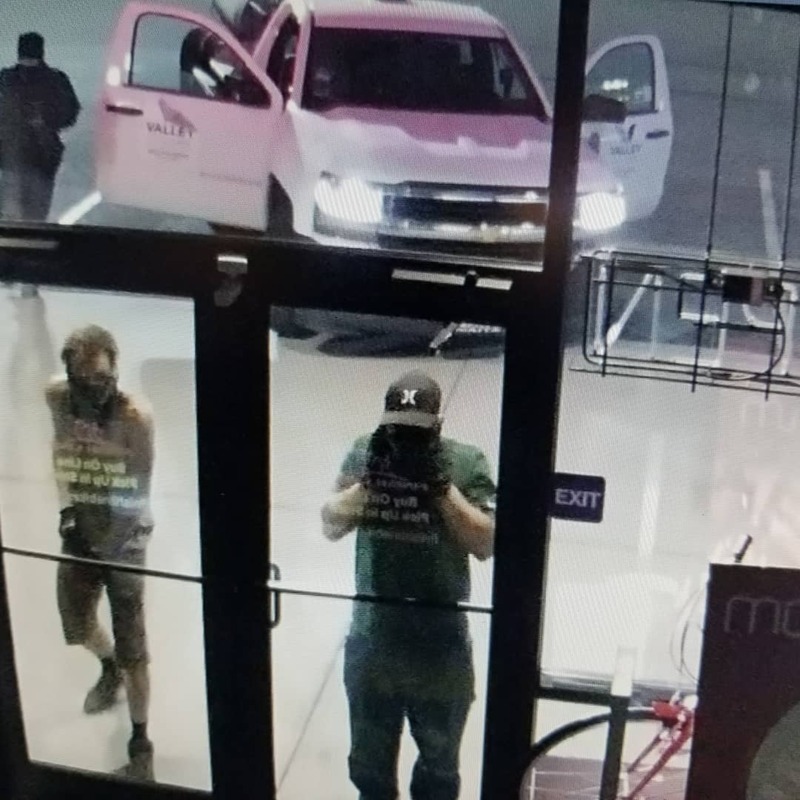 * ... LOCAL CRIME: A group of thieves are hitting businesses across town in a most brazen way: they are using stolen pickup trucks to pull the glass entrances of businesses and cleaning the places out. 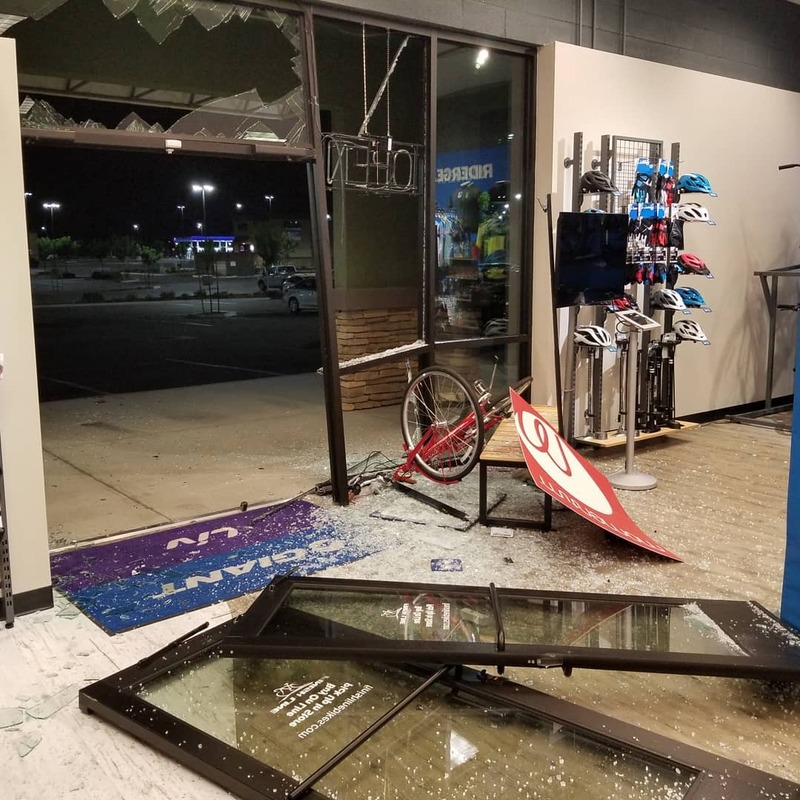 It has happened at least four times in the last month, the latest occurring at a Cigarette shop on Stockdale and Allen Road and at the Finish Line bicycle shop across from CSUB on Stockdale Highway. The thieves, who all appear to be young white men, wear masks to hide their faces and use stolen trucks to pull off the glass entrances. They are hitting these businesses between 2 a.m. and 4 a.m.
* OILDALE: The "welcome to Oildale" sign on North Chester just can't seem to get a break. Shortly after it was installed it was destroyed by a car, and now the replacement sign has been tagged by graffiti. 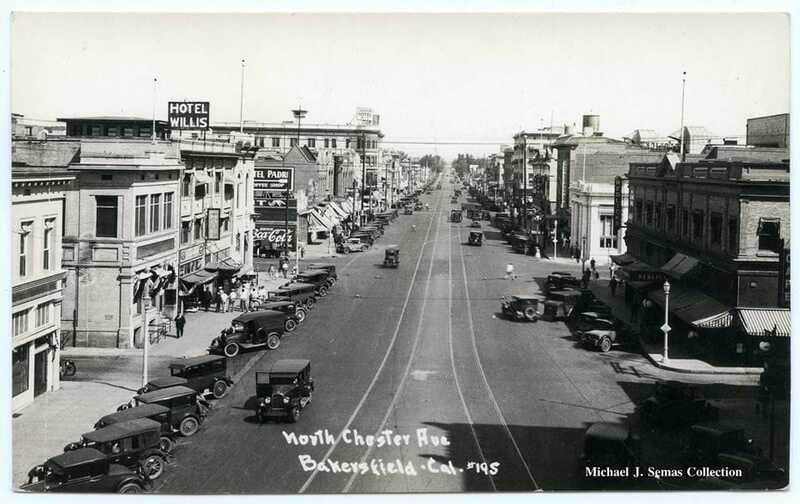 * ... MEMORIES: Take a look at this picture of North Chester, compliments of the Kern County of Old Facebook page. 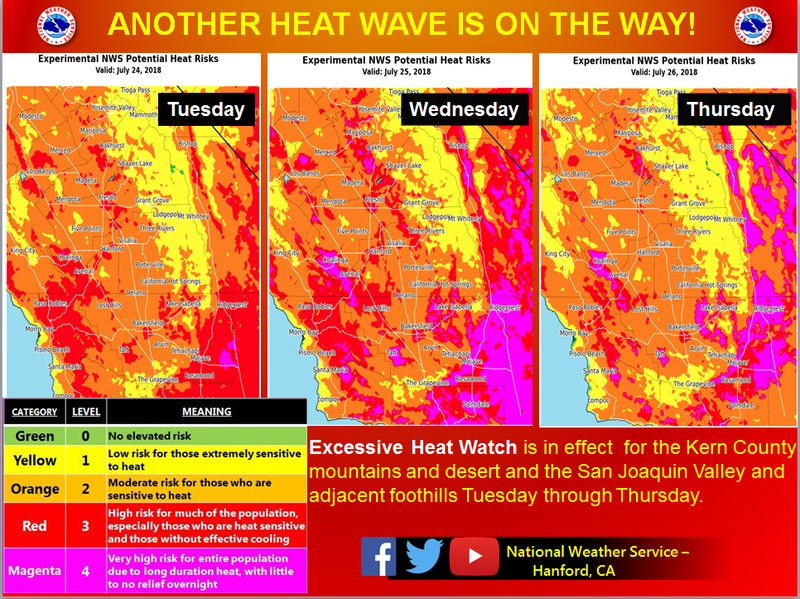 Monday's Bakersfield Observed: So you think it has been hot? Well get ready for yet more near record heat, and what does the prosecution of Supervisor Leticia Perez say about local politics and our changing demographics? Tuesday through Thursday. High temperatures will range from 103 to 108 degrees in the San Joaquin Valley and lower foothills and between 105 and 115 degrees in the Kern County desert each of these days. Wednesday looks as though it will carry the greatest potential heat risk. Prolonged exposure to hot weather can lead to heat stroke or heat exhaustion. To avoid heat related illness, limit your time outdoors during the hottest time of the day, stay hydrated, apply sunscreen and wear light colored, loose fitting clothing." You have been warned. * ... SPOTTED ON TWITTER: This from my friend David Jensen: "How hot is it? It's so hot I saw a tweaker putting the copper back into an air conditioner." 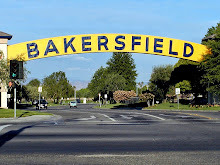 * ... SUMMER HEAT: One benefit of these hot Bakersfield mornings: there is significantly less trash in the parks because it's simply too hot for the slobs to leave their own homes. 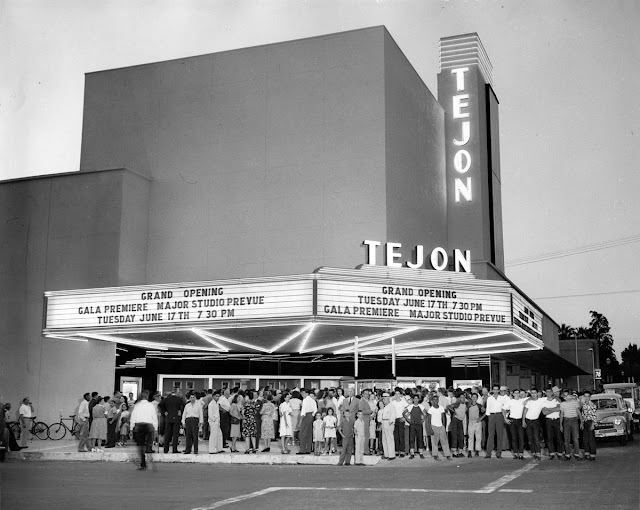 * ... LETICIA PEREZ: Supporters of Supervisor Leticia Perez are planning a protest march and vigil this Tuesday, yet another sign that this very public local stink is going to get far uglier in a very quick manner. The "Stand with Supervisor Perez" rally is planned for 8 a.m. Tuesday at the Liberty Bell, and then supporters will attend the supervisor's meeting to show their support. 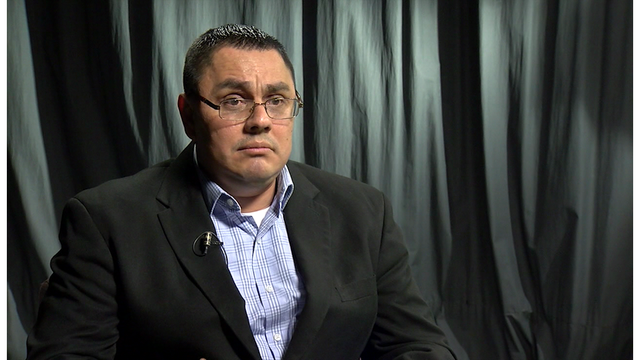 Perez has been charged with two counts of campaign violations, both misdemeanors. 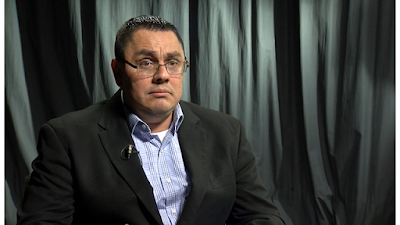 These types of campaign violations are usually dealt with by the state Fair Political Practices Commission, and Perez is believed to be the first person in California to be formally charged by a local prosecutor's office. As the only Democrat, only woman and only Latina on the board, supporters are viewing this as singling out a minority who just happened to support the MALDEF lawsuit against the county that forced a complete redistricting. It is never that simple of course, and the friction among local Democrats, among the supervisors themselves and even in a very fractured District Attorney's office is unprecedented. 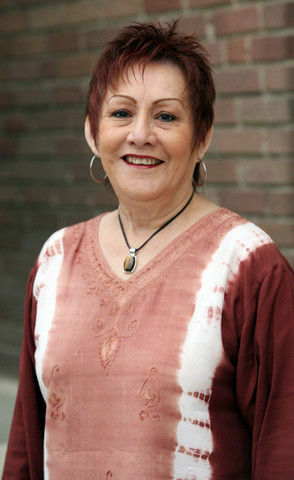 The Perez case should be simple - did a sitting supervisor break the law and if so what is an appropriate punishment? - but these are anything but ordinary times. Instead the Perez case has come to symbolize a changing electorate, one that has different expectations, and how all this plays out will determine who sticks around and who falls by the wayside as a tsunami of change disrupts the old political landscape and ushers in a new era. Follow along because this is going to be a wild ride. 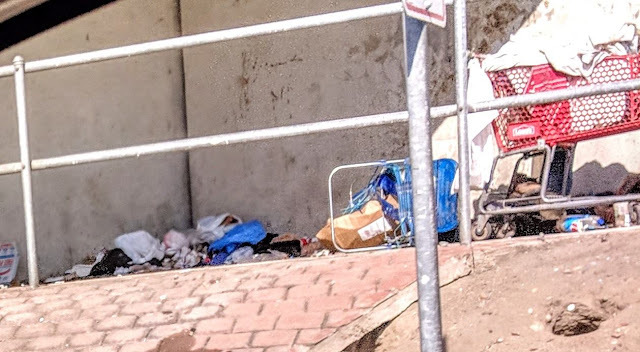 * ... EYESORE: When will the city wake up and do something about the eyesore at the Chester street bridge underpass near there Garces Circle, which has evolved into a near permanent homeless encampment complete with litter, feces and trash that the wind scatters for blocks? 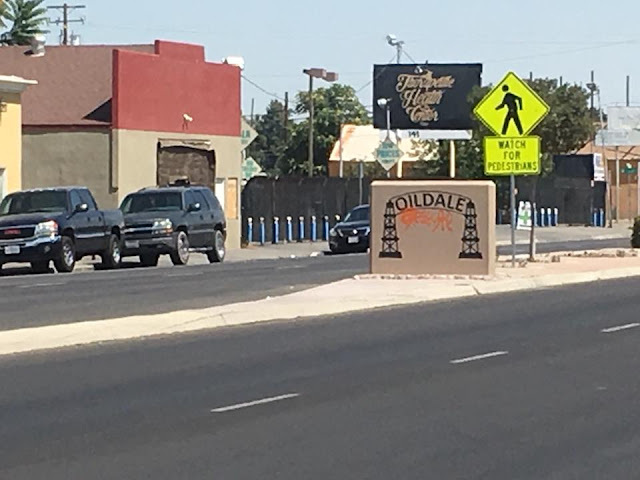 This eyesore has been a problem for months, and it is our collective shame that our city accepts this as an acceptable sign of the times. 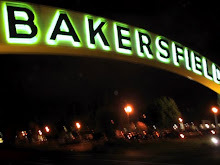 * ... DIABETES: Did you know that between 30 and 35 percent of the adults over the age of 18 in Kern County are either diabetic or suffer from pre-diabetic conditions. That is a full 10 percentage points over the national average, and it speaks to our poor diet, our lack of exercise and our lack of commitment to reversing the trend. According to Dr. Raj Patel over at Preferred Family Care, new guidelines for diabetes now urge physicians to customize their treatment of the disease, providing more aggressive therapy to those who are younger and "full committed" to reversing the process. * ... MEMORIES: Check out this old photo of the Tejon theater at its opening, compliments of the Kern County Museum.